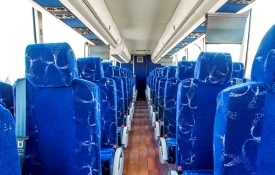 Fox Tours & Silver Fox Motor Coaches has provided quality group bus transportation in New England for more than 40 years. We are the region’s largest group tour operator offering local and nationwide motor coach charter and mini bus services. Our reputation of dependable, clean, quality, and safe vehicles is unsurpassed in the industry. We guarantee satisfaction on all of our tours and we make every effort to make your travel a pleasurable and safe journey! 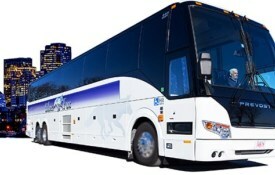 Book your Group Tour or Charter with Fox Tours and Silver Fox Motor Coaches! Fox Tours runs many Day and Overnight group tours to Foxwoods, Mohegan Sun, Atlantic City, Boston, NYC, Washington,D.C, Montreal, Myrtle Beach and more! 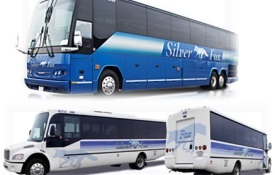 All Tours include Round-Trip Transportation on our luxury Silver Fox Motor Coaches! We’d love to have you join us, but note that you may be traveling with a larger group. Please call and ask for the Tour Department or click below to view our Tour Specials for Individuals. Check back often as we continually update our specials! 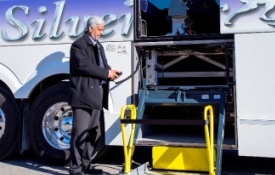 Silver Fox specializes in servicing corporate clients, tour operators, meeting planners, and convention clientele. Our fully-equipped Mini Bus is perfect for your small group outing, such as a Wedding, Corporate Event, Sports Game and more! From youth to the professional, we can accommodate all the transportation needs for your athletics team. We have provided reliable and trustworthy transportation for hundreds of teams over the years. Book with Fox Bus for your sporting events or field trips! Forget about the Boston traffic and parking! Trust Massport’s Logan Express to bring you to the airport effortlessly. We are proud to be the contract carrier for Massport’s Framingham to Logan Express. Let us handle your ground transportation need in comfort. We offer Massachusetts Vehicle Inspections at our Millbury, MA location. Diesel Emission and Safety Testing for Cars, Trucks and Buses. We also specialize in Commercial Fleets (Fleet Discounts) and after hours are available. We are very proud to serve the men and women who serve our country. Our services can be customized to meet any service branch’s needs. Our drivers are well-trained professionals whose main mission is to get your group to its destination safely and on-time. We thank our nation’s military for their service.